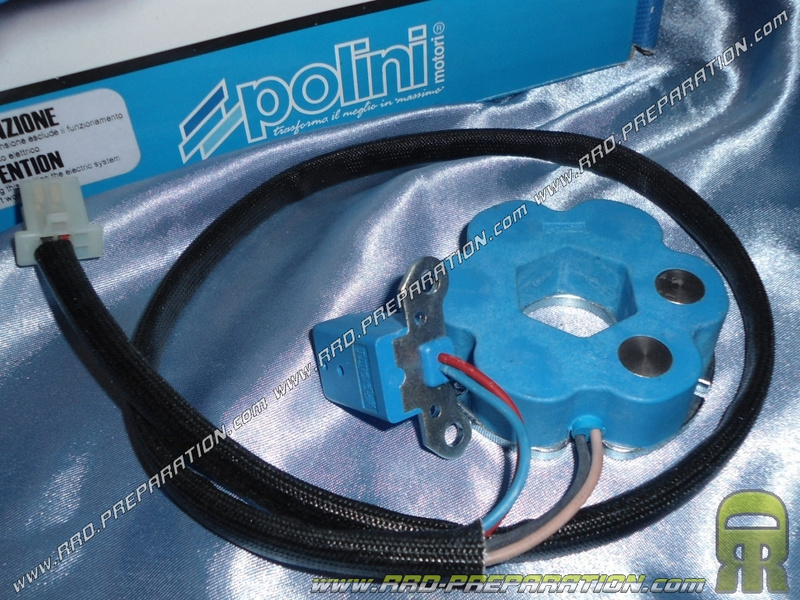 The top to repair your ignition POLINI 4 curves! 70,34 € 70.34 tax incl. Stator complete with spare wiring for front ignition POLINI without lighting competition 4 curves, it can be mounted on both scooters and 50cc motorcycles!